Visit EACH one of the eighteen bloggers to see what is in their basket. Every blogger is hosting a giveaway on their site, for their basket. Enter each giveaway for a chance to win that basket. Who knows, may be you will win more than one!! A little bit about MY favorite things! Multi-Use Rice Pack – Face, Eyes, Menstrual, Migraine, Feet, Lower Back ~ Mani’s Home Spa on Etsy. I have to say is A.M.A.Z.I.N.G! Professional Redken Diamond Oil Shampoo, Conditioner, Deep Facets (deep conditioner)…LOVE, love, love this for my hair! Peanut Butter Comfort (Amazing!!) Cookbook by Averie Cooks. 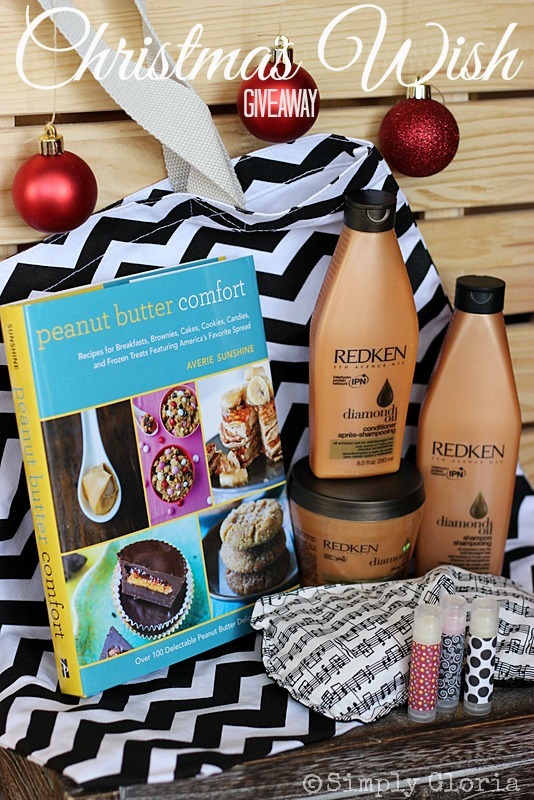 So many of my favorite peanut butter recipes all in one book! These recipes are absolutely phenomenal! Healthy Homemade Natural Chapstick… below is a step by step video by my friends over at Peach Ave. They show you how to make your very own for gift giving! I can’t wait to see who wins this FUN wish list of all of my favorite things giveaway! Great Giveaway. I love the peanut butter cookbook. I am the same way with this gift giving season! I am such a gift giver lover, too! So sorry the entry code wasn’t working this morning while you were over here. (Gotta love depending on the ol’ computer, right?) I’d love for you to come back to enter, Connie! Such a great gift, Gloria! I love Redken products! Lyuba@willcookforsmiles recently posted…Christmas Wish Basket Giveaway! Thank you, Lyuba! When I was working in the salon (many moons ago), my Redken rep loved me because I used the whole line on all of my clients…and was selling it all out the door! Have a fun “weather day” today! Gloria this is such a great giveaway! Thanks!! Great giveaway! Thanks and Merry Christmas! Thank you, Chris! And, you as well! Love your basket and its contents. Lots of great goodies. Thanks for the chance. Good luck, Donna! Thanks for stopping by to enter! This is a wonderful basket, I would love to win this!!! I’m happy you like what I’m giving away, Teresa! Have a happy day! So nice to get to now you better Gloria! Your basket is awesome! I would love Averie’s cookbook-thanks for the chance! The most recent recipe I made from Averie’s cookbook was the Chewy Chocolate Chip Cookies…with oatmeal and pb (of course). 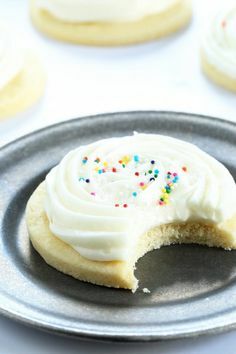 They were some amazing cookies…super soft! Thanks for coming over to enter, Suzi! Ashley @ Wishes and Dishes recently posted…Cranberry Pomegranate Holiday Sangria + a GIVEAWAY! Thank you for this chance to win. Like many others I am curious about the peanut butter cookbook. Averie’s cookbook has pretty amazing recipes in it! Good luck! Thanks, Darlene! Good luck on the giveaway! Thank you, Alison! Wishing you luck! I love your basket. It’s perfect!! Thank you, Zainab! You always make me smile! Peanut butter cookbook for sure. Thanks for the giveaway. Good luck everyone. Sounds like you’re a PB lover, too! Thanks for coming over to enter…good luck!